Are you concerned about finding an experienced repair center for undertaking your Toshiba Portege laptop repair services? Don’t worry! Creative IT offers comprehensive solution for all your Toshiba Portégé laptop repair service needs in London, UK. We will assist you in every possible way to keep your Portégé laptop running resourcefully. Our technical staff members are committed to provide our customers with unrivaled Toshiba Portégé laptop repair services. Virus detection and removal, operating system installation and upgrade, memory upgrade, adware and spyware detection and removal, system performance evaluation, cleaning of internal components and drives are some of the problems we execute as part of our Toshiba Portege laptop repair services. Apart from the above services, we provide other value added services such as Toshiba Portégé laptop part replacement, laptop data back up and recovery, laptop password removal and other associated software installations. At Creative IT, we provide an exclusive Toshiba Portege laptop repair service that saves your time as well as funds. We provide onsite and offsite Toshiba Portégé laptop repair and support to small and medium sized businesses and home users in and around London, UK. Our onsite Toshiba Portégé laptop repair charges differ depending on your location and severity of faults. Just give us a call to benefit from the service of our experienced Toshiba Portégé laptop engineer at your home or business location. If your laptop needs in depth attention, then bring it to our fully equipped workstation located at 69 Enid Street, Central London. We will repair and maintain your Toshiba Portégé laptops, no matter what the fault is. 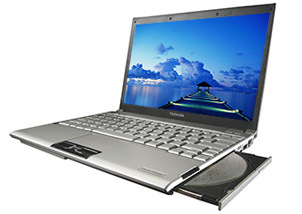 The standard turnaround time for our London Toshiba Portege laptop repairs is in between 24 to 48 hours. At Creative IT, we assure you excellent customer service that exceeds your expectation. Don’t hesitate to ask any queries regarding Toshiba Portege laptop repair services because we are at your service always. To contact us, dial 020 7237 6805 or send us an email at info@creativeit.tv.